Here at Maxtop, we’re lucky to work closely with some fantastic distributors and retailers in the kitchen industry. From Scotland to the south of England, these distributors span the length of the country in order to serve our kitchen needs, so we thought we’d take the time to introduce you to them. 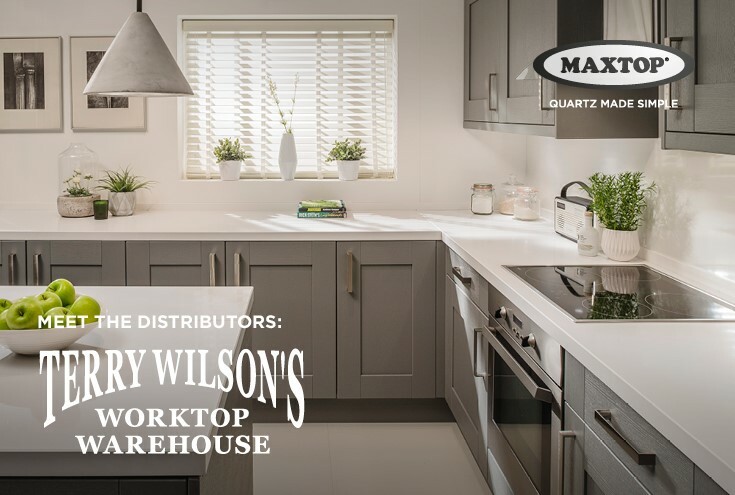 This week we turn our attentions to family business Terry Wilson’s Worktop Warehouse of Northampton. Terry Wilson started out in the trades as a skilled carpenter and craftsman, setting up his business in 1963 to concentrate on the emerging DIY market at the time. Over the years, the small business went from strength to strength, becoming a major player in the worktop industry. Wembley Stadium, Twickenham Stadium and Windsor Castle are amongst the high-profile venues that have been supplied with worktops and components over the years. They’ve even had laminate panels send out into space on satellites! That’s something not many worktop suppliers can boast! The Wilsons’ business prides itself on offering flexible services which other distributors don’t. For example, when customers are looking at Maxtop, they offer a cutting to specification service, a template and fit service or the option to purchase full lengths. These bespoke fabrication options mean cutting, sink cut-outs and joint preparation are made that much easier. The small, personable team means that time can be taken to understand customers’ requirements, offering expert advice to make the process as smooth as possible. The majority of products are delivered within a 50-mile radius of Northampton, but deliveries outside the area can be organised. For trade customers, Terry Wilson’s also give the option for signing up to a trade account. To find out more about the services they offer and the range of Maxtop worktops they stock, visit the website here.